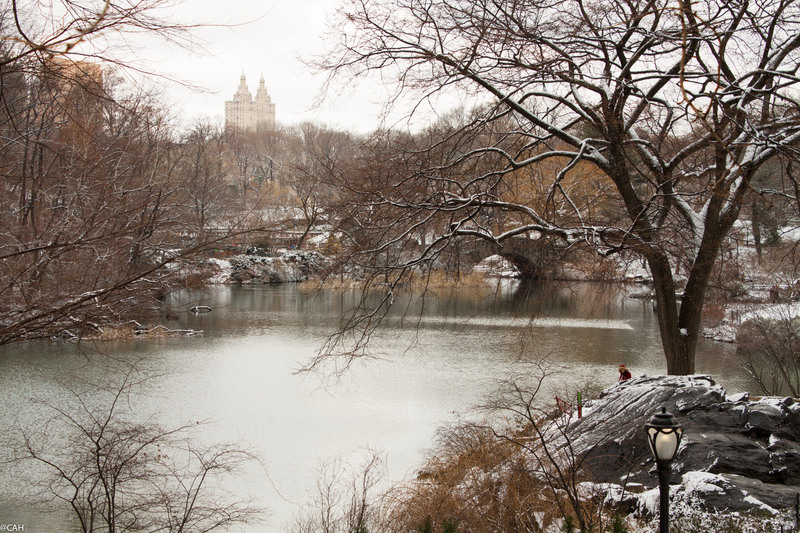 It had snowed overnight but not as heavily as in other parts of the US and the UK. It was still lying on the grass in Central Park but the heat of the concrete in the streets was melting it and the flakes that continued to fall until mid-morning. 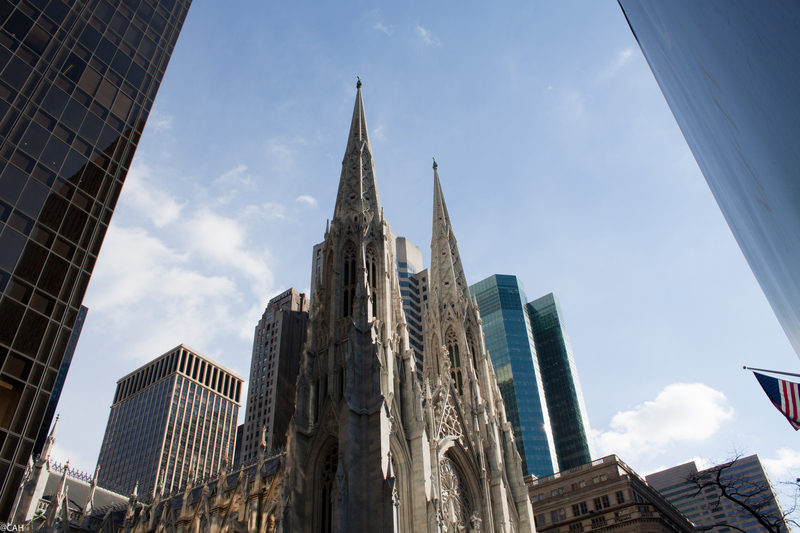 We wandered through Grand Central, which was busy with commuters and then into St Patrick’s Cathedral. It was built in the 1880s but looks like a much older Gothic building from Europe. I was pleased to see that they were happy to let homeless people sleep on the pews out of the cold. St Thomas’s Episcopalian Church had an amazing decorative carved screen behind the altar. We also found the Old Print Shop on Lexington Avenue and purchased two maps from 1660 of the Western Isles which we will have to find wall space for when we return home. One of our tasks for today was to find the marker of the start of the Lincoln Highway which I had read was at Broadway and West 42nd St at Times Square. Eventually I spotted the very small sign attached to a post and which we would never have found in June when we are driving through the city on our way to Philadelphia. At one point on our total of 15 miles around the city, we saw some members of the NYPD Counter-Terrorism Unit near the Rockefeller Plaza armed with guns. Quite why they were there was not obvious but one brave tourist was taking a photograph of them. Police do not usually like that & I have only been brave enough to photograph a sleeping policeman on the floating police station on Lake Tonle Sap in Cambodia. In the late afternoon we joined the scrum sampling the delights of the Museum of Modern Art for free. This happens every Friday from 4pm to 8pm and involves lots of queues. The first, which no-one tells you about and is 300m long when you find it, is outside, to collect a free ticket. You then have to stand in another queue to deposit bags deemed too large to take inside and yet another to have your ticket inspected before you can enter the galleries. It is obviously a popular event and a great way of familiarising yourself with the layout and the collection but if you want quiet contemplation of the works, come at another time and pay your $25. I discovered a Belgian artist I had not known of before, Marcel Broodthaers, who worked in a wide variety of media, including poetry. 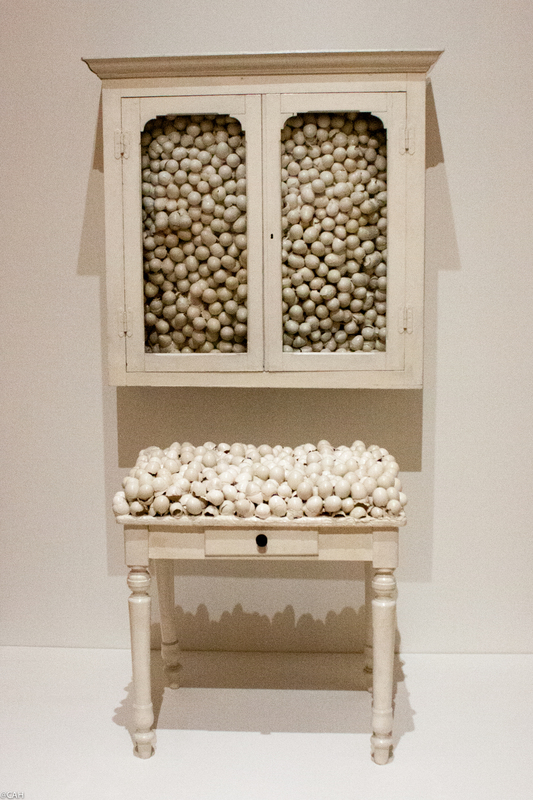 Here is a work entitled Armoire blanche et table blanche’ painted furniture with eggshells. He used a wide array of different media over the years. 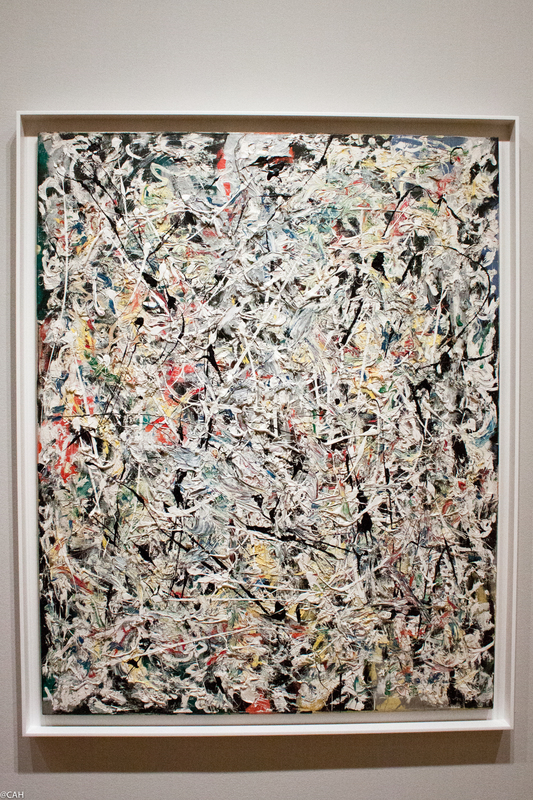 Other works were old favourites especially the abstract expressionists such as Mark Rothko and Jackson Pollock. There was a wide variety of works to see including photography but after a couple of hours it was time to head away from the crowds (who were still queuing to come in) to go for dinner and a more relaxing evening back at the hotel. Part of me is already in the Sierra Nevada as I am halfway through reading a selection of John Muir’s writings that James gave me for Christmas. John Muir was born in Dunbar in Scotland, a very familiar place, and emigrated to the USA aged 11. The paperback I have contains the first two of his books and a selection from the remainder. Today I found a biography of Ansel Adams whose landscape photography I have admired for some time. So I have plenty of reading material for winter evenings. I’m living vicariously through your trip, Carol. That’s great you got to go to the museum gratis. You’re a nifty traveler. It’s raining very heavily here – it has been pouring since yesterday, and the deluge triggered a medium-sized landslide a couple miles away – thank God, not on our street. My geologist husband assures me that it’s not possible, and he’s usually right about such things. Anyway, I wonder if you’ll go to the Cathedral of St. John the Divine. Madeleine L’Engle, one of my favorite authors, was its librarian for many years. She has written of the grounds extensively and I feel like I’ve almost been there, but not quite. As for John Muir, well, he’s very big in this household. Craig has always loved his books and he’s an experienced Sierra backpacker who knows the geology of the Sierras so well. I studied Muir’s books at U.C. Santa Cruz, focusing on “My First Summer in the Sierra”. His conservation work and writing is amazing and I’m sure you’ll enjoy reading his books. I wonder if you or James have ever read Robinson Jeffers’ work? If not, I have a book for you…..
Great photos – so interesting and diverse. The white armoire was very eye-catching with all those egg shells.